Scott Schendlinger is a recently married (WHAT! WHAT!) Jewish comedian. His wife is Catholic, and together they have a dog, Daisy, who obviously practices both religions. 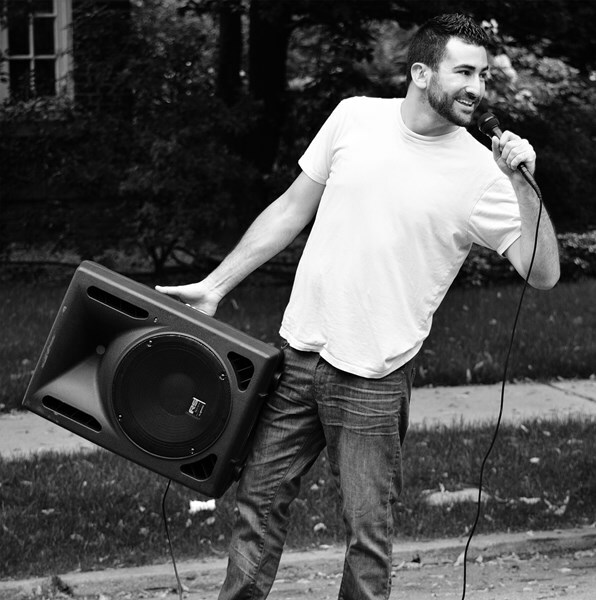 Scott has been performing stand up for the past 12 years. He's been featured in Huffington Post Women and many other cool publications and that makes him really cool! 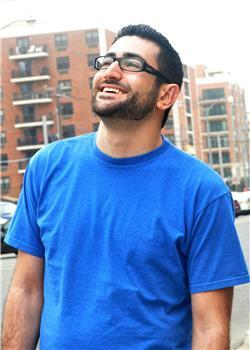 He started his comedy journey at 18 with a local community college open mic in NJ, Late Nite Series and continued pursuing comedy throughout college, founding “HaHa Hofstra”, a stand up comedy group at Hofstra University. 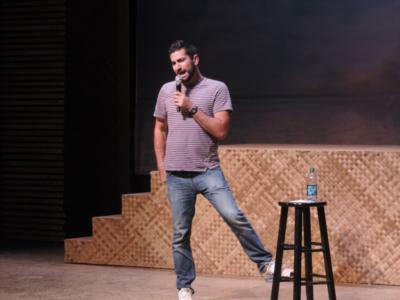 After graduating, he decided to pursue comedy as a career, getting on stage every night. Scott entertains audiences with a charismatic and uplifting delivery of his skewed observations of his life's experiences. His stand up includes the major issues of society and the little quirks of our daily lives. He playfully pokes fun at himself and those around him. "A BIG thank you to Scott Schendlinger for a great show! Scott came to our campus in March of 2013 for a Saturday night show. Everything went perfectly; Scott was exactly what our students needed! He arrived very early with plenty of time for all of the preshow necessities, as well as time to meet and get to know our Student Activities Board. Scott put on a show that our students our students loved and are still talking about. We cannot wait to have Scott back in the future!" "Scott is a recent Hofstra alum that still has a college mentality. His wit, honesty, and self-deprecation makes him an all-around comic. Along with his professionalism, he was beyond a pleasure to work with, and we will have him back again." "Scott is really funny and really nice. He was so professional and orderly. Overall, he is a great dude who is very respectable!" "Scott was a last minute addition to the show because one of the students insisted on having him after seeing him at a NY Comedy Club. My only issue with him was we opened the show with him and none of the other acts could follow the hilarity he brought to the stage. That's why this year he's closing the show." "We had such a good time with Scott when he came to our school for a show. He appealed to the students and related his material to the feedback he was getting throughout the show. Definitely would have him back again!" It was easy to view Scott’s video prior to the event. Scott was available by email, phone and text prior to the event. He showed up exactly when he said he would. Very reliable and professional. The group really enjoyed the “Kohl’s cash...bed bath beyond segment”. Even the bartender and wait staff were laughing. Great job! It was a great show. He worked with the audience and personalized the act!! Just what we were looking for!!! I hired Scott to perform as an Emcee at our last corp. function. I had no idea what to expect since I never organized a party with an Emcee before, but I couldn't have been happier! He arrived right on time & quickly took charge of setting up the games we had planned (which wasn't required of him to do, so that's extra bonus points!). He got the crowd going with just the right mix of enthusiasm & direction. And did I mention he is FUNNY? Everybody thought he was just great. Scott even joined into a couple games when the competing teams were unevenly numbered. Overall I couldn't have asked for a better Emcee, and to boot, he is great to deal with on a personal level. I had Scott for my engagement party and he was so funny and entertaining. He exceeded all expectations. Everyone raved about his performance and had me crying I was laughing so much. I will definitely be booking Scott for my next party! Scott was good to work with. He was able to secure an emcee (Kunal Arora, who was really funny) on short notice. Would work with him again depending on event. We hired Scott for a Company Christmas party. We have employees that range from ages 17-65 and was able to present great comedy for all. Very professional and accommodating. Would definitely recommend Scott and even hire him again. We hired Scott for a small company party of about 50 people. From initial contact he responded quickly, he was attentive, he made suggestions that improved our original ideas. The night of show he was early, professional and everyone in audience was pleased. He even handled an over zealous guest nicely. A great time was had by all and I would recommend him to anyone. Please note Scott Schendlinger will also travel to Hewlett, Lynbrook, Oceanside, Rockville Centre, Island Park, Malverne, Valley Stream, Woodmere, Baldwin, Cedarhurst, Jamaica, Lawrence, Long Beach, West Hempstead, Atlantic Beach, Elmont, Franklin Square, Freeport, Hempstead, Inwood.